Movement: mostly shifting with lots of hiccups-I can feel pointy knees, elbows, and heels. Cravings: insatiable sugar cravings (as always), still including marshmallows. I Love you perfect basketball shaped belly!! 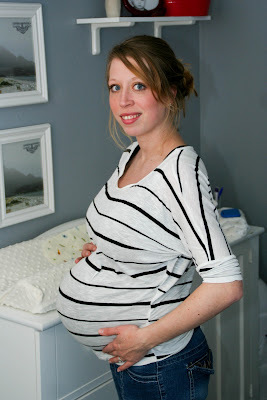 When Im pregnant I just look like a beached whale! LOL You're getting so close!